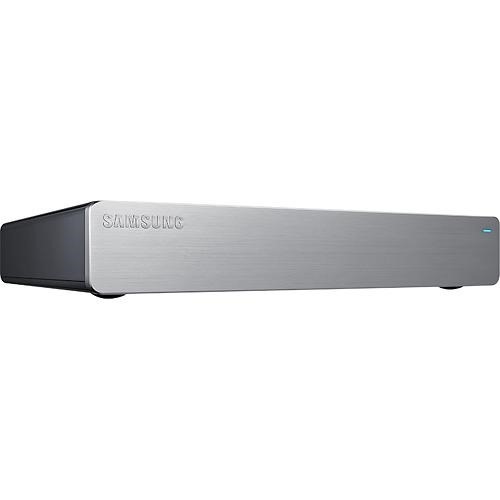 The Samsung HomeSync hasn't been a huge success, and the astronomical price probably had something to do with that. The device retails for $299.99, and it's only a few bucks cheaper on Amazon right now. Best Buy is undercutting everyone by offering this syncing hub for a mere $99, which actually makes it pretty attractive. This contraption is a box that connects to your TV via HDMI and can be used to mirror devices and play content stored on it. The HomeSync contains a 1TB hard drive that can be used to automatically back up content from your Samsung devices – that's not super-useful for people using non-Samsung phones and tablets, but it has limited functionality with other models. It's actually a full Miracast receiver as well. The HomeSync is a hard sell at $300, but it can be rooted and messed around with. So maybe it's a good toy at $99.